Nike has made some important changes to its board of directors, as Chairman Phil Knight has retired from the board. As part of the changes, Apple CEO Tim Cook has been appointed lead independent director of the Board, effective immediately. Tim Cook has served Nike as a board member since 2005, taking roles as chair of the Compensation Committee and member of the Nominating & Corporate Governance Committee. Knight will be replaced by Mark Parker, Nike’s president and CEO since 2006. 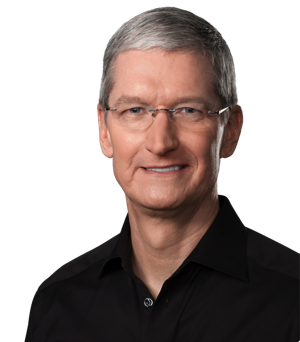 Besides his role at Nike, Tim Cook is currently a member of the Board of Directors of the National Football Foundation, and also serves as board member of the Robert F. Kennedy Center for Justice and Human Rights.